The Defense Advanced Research Projects Agency is sponsoring an international conference to open dialogue about on-orbit satellite servicing. Fostering Sustainable Satellite Servicing will be held on Tuesday, June 26 in Arlington, VA.
DARPA pioneered on-orbit satellite servicing with the Orbital Express demonstrator in 2007. DARPA is continuing to pursued on-orbit servicing in the Phoenix program, which seeks to demonstrate technologies for harvesting and reusing components from retired, non-working satellites in geosynchronous orbit. 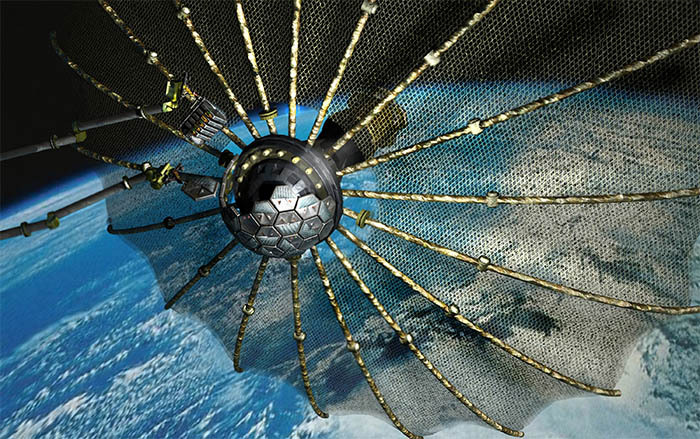 DARPA believes that widespread adoption of on-orbit servicing would benefit from discussions regarding a range of technical and non-technical issues, including policy, legal and other constraints. Dave Barnhart, DARPA program manager for Phoenix said that may serve as as a model for future on-orbit servicing activities.